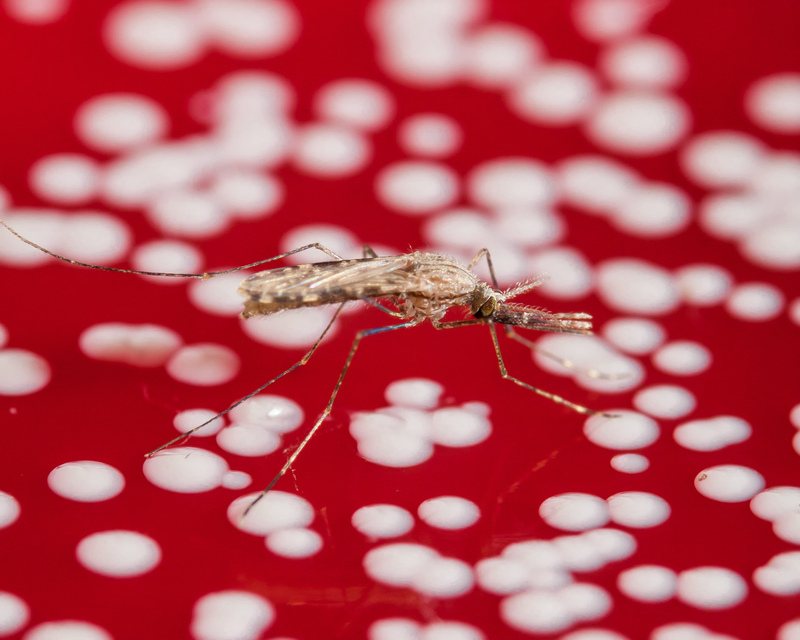 The image shows the most dangerous animal in the world, the malaria mosquito Anopheles gambiae sensu stricto, resting on a blood agar plate. The white dots are growing colonies of bacteria that were isolated from human feet. These bacteria produce the odours that attract the mosquitoes. Our research contributed to the identification of odour blends that are highly attractive to malaria mosquitoes and can be used to in odour traps.